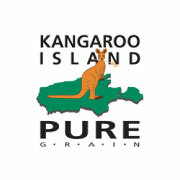 Kangaroo Island Pure Grain was established in 2009 with a mission to provide premium returns to Kangaroo Island grain growers, encourage existing farmers to increase their grain production and encourage others to enter the industry. The company receives, stores and classifies the majority of Kangaroo Island grain grown and sold into the domestic and key export markets, including Asia and Japan.KIPG represent a majority of grain growers on the Island, farming approximately 35,000 hectares of land. KIPG wanted to be able to share contacts, calendars, files, tasks and other company data. They needed to ensure that the data was fully secure and backed up. They wanted to be able to access email and data across smartphones and tablets as well as have the ability to work from remote locations and their satellite offices. In addition, any infrastructure had to work with their accounting package and industry-specific database solution to ensure that all staff had maximum up-time to the applications. Inter Intra provided a cloud based Microsoft Windows Server environment running file, print, email and collaborative sharing. This allowed KIPG to easily share their company resources while ensuring that their financial data was secure. Inter Intra managed the migration of the systems and data onto the cloud infrastructure ensuring that both systems worked together without conflict, significantly reducing system downtime during the project. Inter Intra also implemented high data backup and security standards on their systems to comply with highly sensitive data storage.